There's no short of tourist destinations in Batu, Malang. In 2012, Eco Green Park added the list of theme-parks worth to visit in this city. 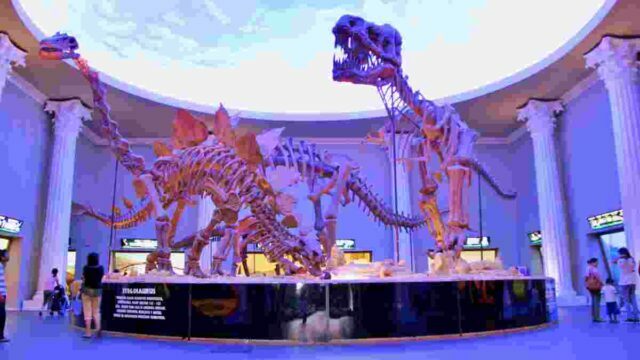 Built in a 5-hectare area, the park joined the already popular Jatim Park and Museum Angkut. It's located in Oro-Oro Ombo street. Only a walking distance from Jatim Park and the night theme park Batu Night Spectacular. What distinguishes the park from its neighboring destinations is that it focuses more on the environment. Eco Green Park has 35 educational attractions. Each teaches visitors the importance of maintaining environmental balance. Their motto is "fun and study". Eco Green Park is also part a zoo. Their animal collection is mostly birds. 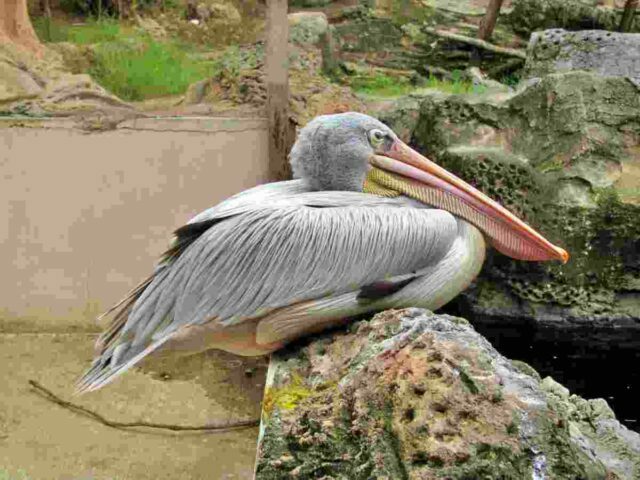 They have exotic locals in captivity including Javan eagles, Javan peacocks, and lorries. Flamingos, vultures, and Indian peacocks comprise to their foreign category. In 2017, the park added Humboldt penguins from France to its collection. At jungle adventure, visitors will get an important mission. The mission is to catch the illegal hunters who've been damaging the ecosystem. Fight them and be the environmental heroes the earth needs and deserves. The fate of the forest and its inhabitants lies on the visitor's hand. Eco Green Park is a bird paradise. “boring” species such as duck, chicken, and pigeons, can be incredibly interesting here. This is because the park has hundreds of varieties of these common birds from all over the world! 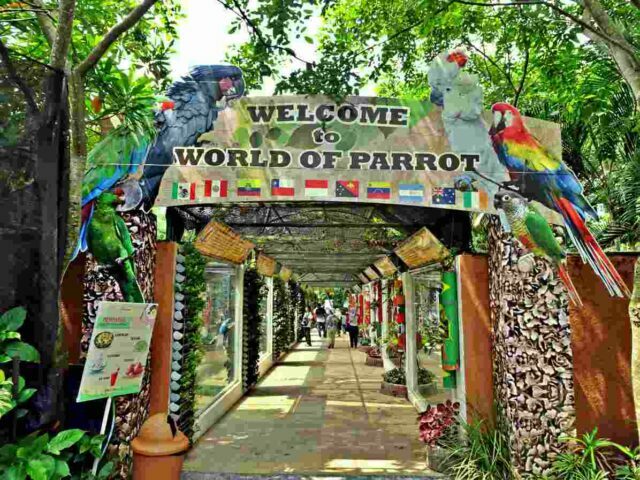 Moving on to more rare birds, visitors can enjoy parrot performances and flying eagles on the bird show. A section called Walking Birds allows visitors to meet big birds like cassowary and peacocks. Do not forget to see the Indian peacocks. Eco Green Park has a selective breeding type of peacocks whose feather is all white. The penguins gather the most curiosity. Originated from South Africa, Humboldt penguins are accustomed already with hot temperature. The Penguins have a feeding show here. And it is exactly what’s everyone expects, a cute show where queuing penguins fidgeting impatiently expecting fish from caretaker’s hands. Science center at Eco Green Park educates about environmental degradation and its impact on humanity. A diorama depicting a devastating landslide reminds everyone of the importance in keeping the forest intact. At natural disaster section, experience how it feels like during an earthquake. Eco Green Park also have wind machine to simulate storms. Recycling is important to reduce waste. At Recycle Zone, learn how to reduce waste effectively. Participate in the creative class where an instructor teaches visitors - on how to turn trash into unique crafts. Also admire how the park recycles old computers into an elephant statue, car parts into a cow statue, and ceramics pieces into a horse statue. Who would expect that water can be a musical instrument? At Plaza Music, beautiful music can be produced with the help of water energy. The principle is simple, the water powers the hydraulic musical instruments. Visitors can “play” some music too with the available tools. Try to create many different sounds by experimenting with the water force, pace, and movement. 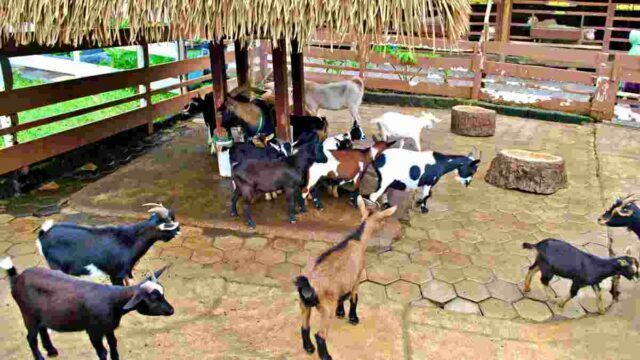 Eco green park is also a place to learn about plants and farming. At Hydroponic Zone, learn how to cultivate strawberry, tomato cherries, and mushroom without using any soil. Nearby, Carnivor Garden serves as a greenhouse for the rare plants. Here, meet the notorious insect-eating plants such as Venus flytrap and pitcher plants. Meet numerous type of insects, dead or alive, at Bamboo Plaza. A frame of preserved butterflies hangs on its wall. Examine some intriguing insects such as the orchid mantis and scorpions. Take the opportunity to touch and play with a scorpion. These little creatures don’t sting as the venom has been taken away. Eco Green Park opens daily from 9 AM to 5 PM every day. Weekend and school summer holiday in June - July is the most peak time. Nearby: Museum Angkut, Hundreds of Car Collections & Flight Simulator. A ticket costs IDR 49k for a weekday visit and IDR 70k on weekends. There's a parking ticket, IDR 5k for cars and IDR 2k for motorcycles. Renting a bike to get around Eco Green Park costs IDR 100k for a three-hour rent. Eco Green Park provides free shuttle service to get around between nearby tourist attractions (Jatim Park, BNS, Museum Angkut). Basic facilities such as toilets and parking are equipped with disability access. 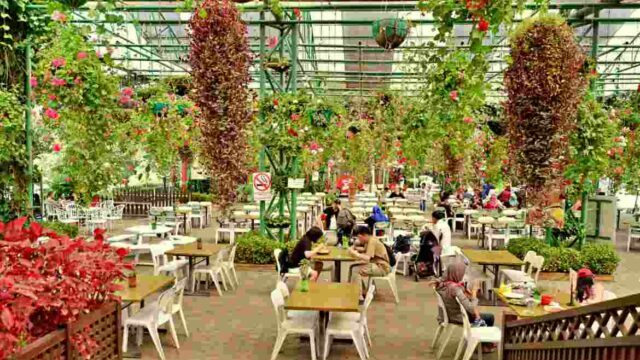 There are food courts, a minimarket, and a smoking area. Guide service and an information center are also available. Eco Green Park is reachable by following this route: Malang - MT. Haryono Road - Tlogomas - Batu - Gondorejo Street- Oro-Oro Ombo - Eco Green Park. It takes almost an hour from Malang central area. However, the route is easy and straightforward, plenty of helpful signs along the way. Tourists can rent for a motorbike from rentals near the station. The price is affordable starting from IDR 60k/day. Public transport is also easy. From any major points at Malang, take ADL or AL van heading to Landungsari Terminal. Then take BJL/BTL van heading to Batu City. 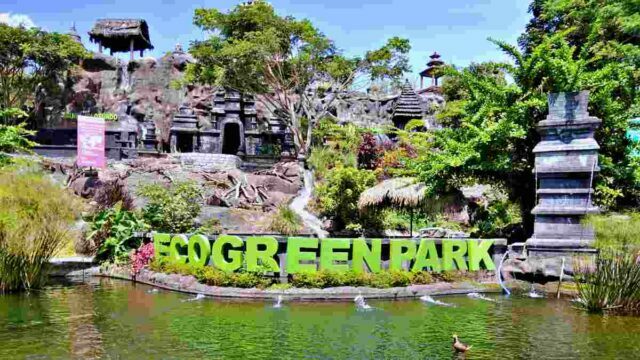 Stop in front of Jatim Park 2 and continue by walking around 3 minutes to Eco Green Park. Angkot costs IDR 4k per trip.